Home /Uncategorized/What is the Sunrise Movement? What is the Sunrise Movement? By Gabby Perez (FCRH 21’), VP of Sustainability, United Student Government at Fordham University. On November 13th, 2018, Bronx Native and Representative Elect Alexandria Ocasio-Cortez joined environmental activists from the Sunrise Movement in protest at democratic leader Nancy Pelosi’s office. Protesters, Ocasio-Cortez included, were filled with a sense of urgency. Why? Only twelve years. The top climate scientists of world say that this is how long we have to make the necessary radical changes to our national policies to escape the worst, irreversible effects of climate change. With the extreme natural disasters that are already happening more frequently and the multitude of scientific evidence of what’s to come in the near future, why isn’t climate policy the number one priority of our government right now? Climate change affects every person and other living being in the world. Why don’t our politicians seem to care, or even recognize the grave reality of the problem? Money. CEOs and other lobbyists of the fossil fuel industry pad the wallets of our politicians, Democrats and Republicans alike. Big Oil knows the science. Big Oil knows what it has to do to secure its bank accounts: make sure that anti-fossil fuel and other environmentally-protective legislation does not get passed. This connection between the fossil fuel industry and politicians has gone on for decades, and has contributed to the planet’s destruction and the environmental injustices that so many communities, largely low-income communities of color, are already experiencing. How do we end this corruption? We have to make sure that our representatives are not bought by Big Oil. That’s where the Sunrise Movement comes in. The Sunrise Movement is a national grassroots organization led by young people who are urging politicians to become the climate leaders that they need to be. 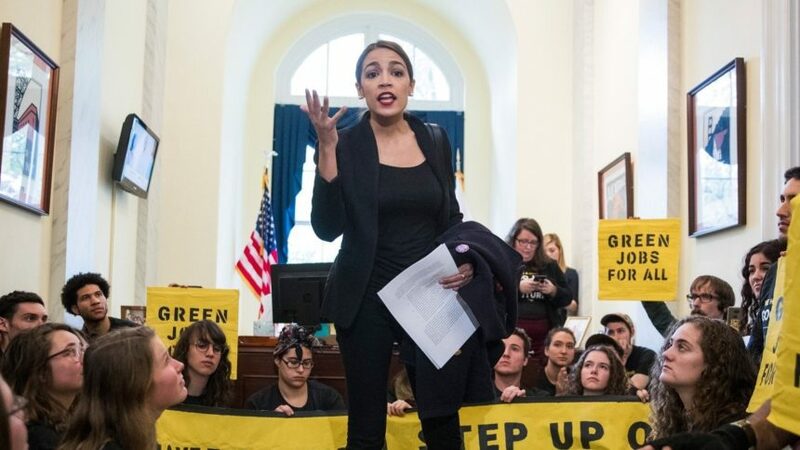 A real climate leader is a representative who: (1) rejects money from Big Oil, (2) fights to end all new coal, oil, and gas projects, and (3) supports a Green New Deal. Through marches, demonstrations, phone-banking, and social media the movement has already had amazing success — and is gaining incredible momentum. Over ten House representatives have already pledged their support of the Green New Deal proposed by the Bronx’s very own Alexandria Ocasio-Cortez. The plan would create millions of new green jobs and protect our precious natural resources. Change is coming; it is up to us to decide if we want that change to be one of mass destruction or one of a healthy, just life for all.